When my mother was raising three of us (3 sisters) it must have been a crazy time for her, for we never had much in common other than food choices. I liked to read story books, whereas my immediate younger sister (Sania) was extremely nerdy and last sister was so young that I can only remember her loving to get attention from all of us. I loved going out with my friends, eating out, talking a LOT and mostly spending time out of home. Sania loved studying, hanging out with family, enjoying with our cousins and staying home to study. She loved getting dressed up and make up and I did not. Besides all the differences we had one thing in common between all three of us – food choices. I loved dahl (lentil soup) and so did they and I hated dairy and so did they. Milk was forcefully induced upon us. We really did not like drinking it. We especially hated the fat laying round in our glass of milk. We would spoon it out and literally throw it aside. (I would not do this today!) And because we were growing children so my mother made us drink a glass of milk almost every day. Those days in Bangladesh dairy never came in a bottle or in a cartoon. We had our own dairy supplier, a milkman who came almost every morning to deliver fresh milk. Can you imagine? He owned his own cow and he would deliver fresh, raw and unpasteurized milk every day! My mother started complaining that he (the milkman) would mix water in the milk to lighten it and increase the quantity so he could sell more. I say to my mother that we were extremely fortunate that he just added water. Today the dairy industry does not keep their animals clean, inject hormones and anti-biotics in their cows, pasteurize and homogenize the milk they sell in the market. The milkman we knew was so poor that he would not even think of going through so much trouble. And I can bet you – even if he was offered money for it – he would still feed grass to his cow not corn! That animal brought him bread and butter and he would not think of doing such a thing to his cow. What is the problem with commercial milk? Rarely will you find milk from pasture raised cows. They are all kept in confinements with hundreds of other cows. Poor sanitation and cleaning of the animals. They are fed mostly grains and corns than green grasses. Most grains come from genetically modified seeds (GMOs). Often by products from industrial factories – animal parts, feces, blood, feather, junk food, candy and even plastic is mixed in their food. Due to poor husbandry practice they are induced with anti-biotic’s often. In the USA they are injected with synthetic hormones (rBGH) to make them fat. Sometimes they have a hard time standing on their own legs. This synthetic hormone Is a known carcinogen. These hormones results in an infection of the udder [Mammary gland] of these cows. Chemical additives preservatives and other enhancers are added to commercial milk when packaging the milk. Synthetic version of vitamins and minerals added to the milk. Fat-free, low fat, 1%, 2% or skim milk literally is stripped off of all nutrients naturally occurring in the milk. And then they add back small amounts of fat to make it 1% or 2%. All commercial milk in Canada is pasteurized. This process applies heat to the milk to kill bacteria’s or germs. However it destroys the enzymes in the milk The milk is then homogenized, which is a process of forcing milk through tiny holes at an extremely high pressure. This decreases the fat globules to such a small size that they are unable to clump back together. I will explain more about how these two processes hinders nutrient absorption, change in the fat and protein structure of the milk and leads to allergies, osteoporosis and intolerance. As a consumer it is your right to know about the milk you are consuming. This inhumane treatment causes a shorter lifespan in comparison to cows that are pasture raised. The average lifespan of a cow is 42 months, compared with 10-12 years for a pastured cow. The cows that lived on a grass fed diet produced an average of 12 pounds of milk per day while lactating however today cow’s are producing up to 50 pound of milk per day – over a fourfold increase which is beyond the capacity of what the cow was naturally capable of producing. So how are we surviving and not getting sick consuming milk from such factory raised animals? 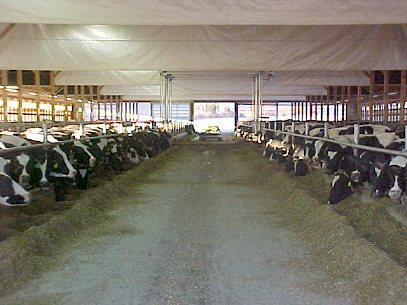 Considering the fact that these cows have been raised in unsanitary condition, unpasteurized milk from these factory farmed cows will be absolutely unsafe for human consumption. When industrialized dairy farmers ran into the trouble of producing unhealthy milk they adopted the pasteurization and homogenization process to kill the harmful bacteria and viruses. 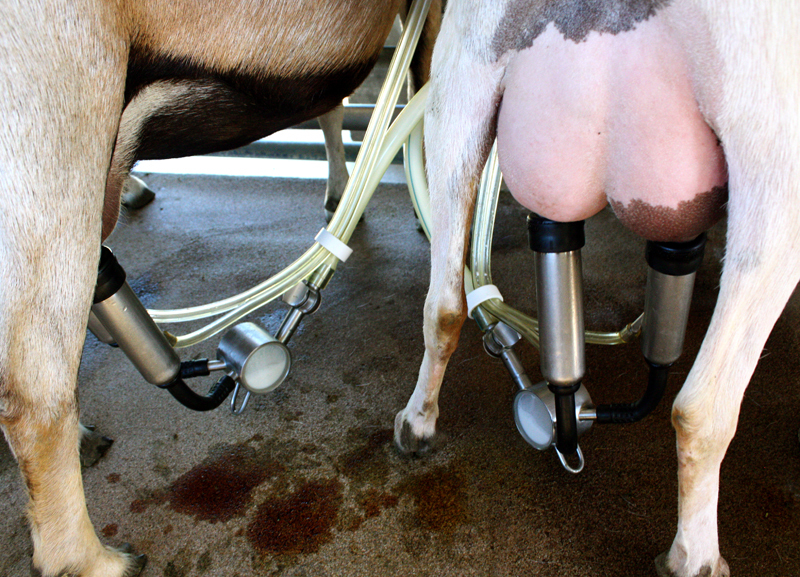 However even with pasteurization the cells are not cleaned but heated; therefore the milk will contain dead pus cells. The force of homogenization destroys vitamins, minerals and enzyme from the milk. Don’t get upset when you read all these information. Do your own research to find out what is really going on and why does Canadian government talk about us not having enough milk when most of us get our supply from eating pizza, chips, cookies, cheese, yogurt (Activia? ), chapman’s ice cream, salad dressings and sour cream? Is milk the ONLY way to get calcium in our body? How about spinach, kale, almonds, sesame seeds? WHAT!! Yes they all contain generous amount of calcium.